The epitome of modern yet refined style, the Clovis Low Bar Stools is the perfect elegant addition to any home. Natural wood is complemented by a soft square seat, which comes upholstered in a range of premium colour and material options. 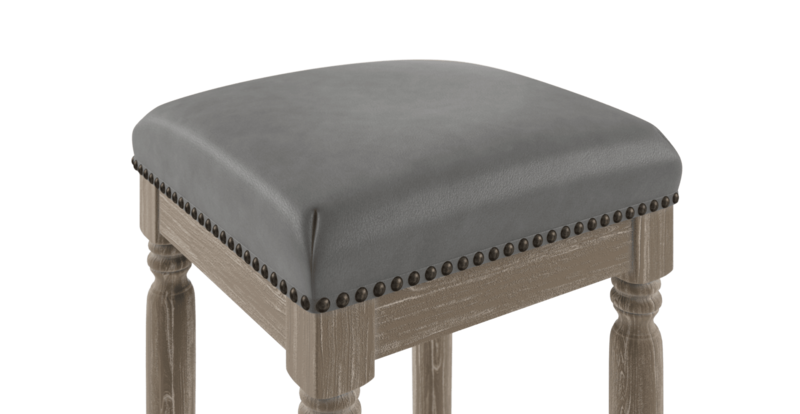 Mix and match as many Clovis Bar Stools as you like. Whether it's a set of three, four or five, we made sure it's easy to create your complete set. 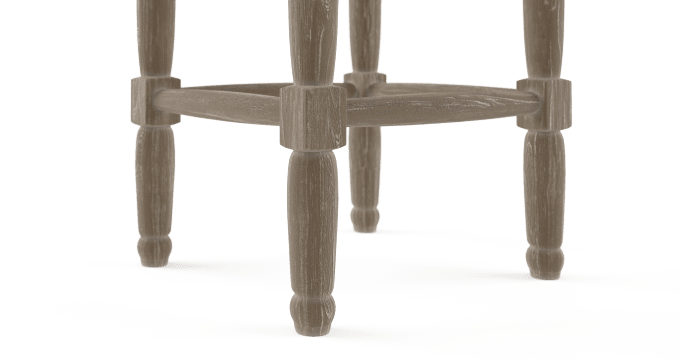 For something with a bit more height, see the Clovis High Bar Stools. 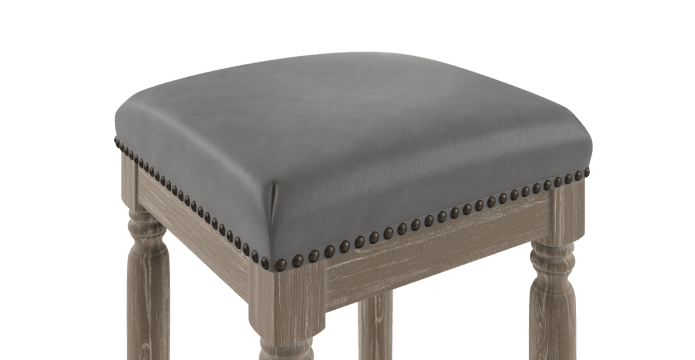 The seat of the Clovis is ultra-comfortable, with foam filling and softened edges, accented by intricate bronze studding. Finished with your choice of linen-blend or oil wax leather touch. 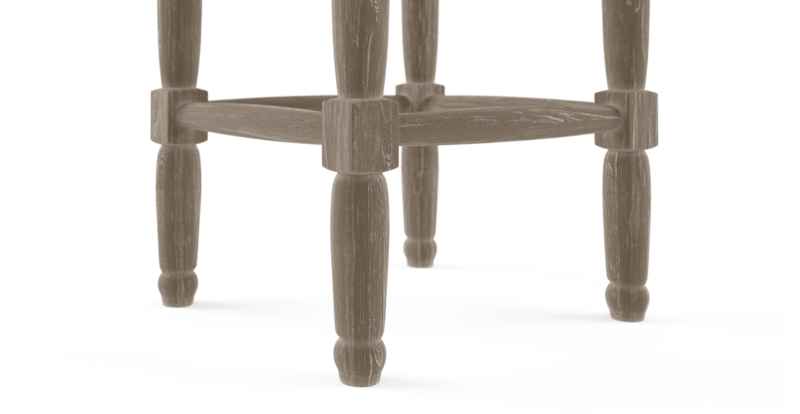 Beauty is all in the detail, such as the elegantly carved legs of the Clovis. Crafted from solid Beech wood, renowned for its high density and hard-wearing nature. It was a good shopping experience. It did take quite a while for the product to arrive but when it did it was exactly as ordered. Love my chairs. Only scored 4 due to the lengthy wait. Other wise really happy and get lots of comments about them. Fast delivery and love the stools!! 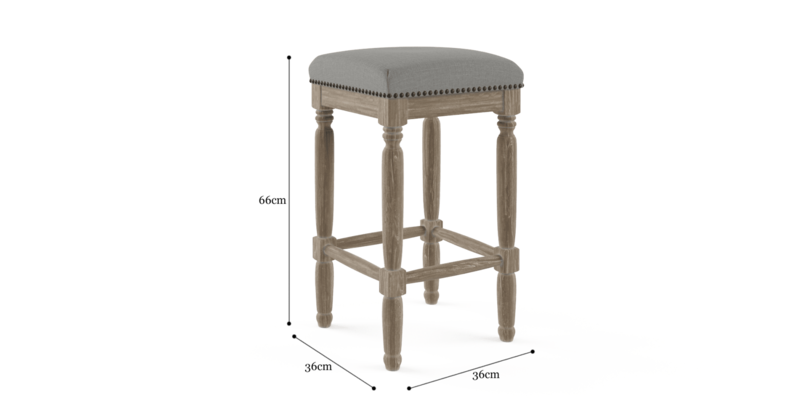 See, touch and feel our fabrics used on our Clovis Low Bar Stool. For Free! Simply select up to 3 fabrics and add them to your cart. Delivery is on us. Good news! 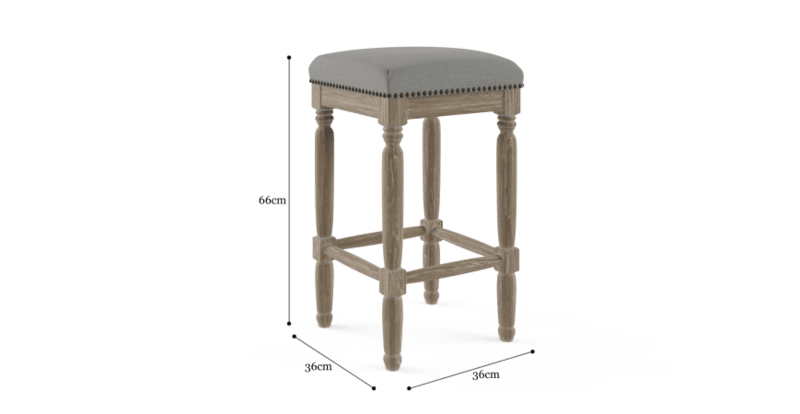 Clovis Low Bar Stool is currently on display in our Alexandria Collingwood studio.